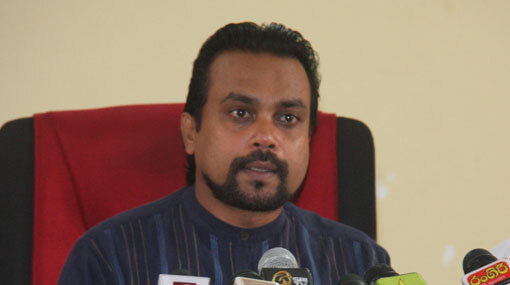 UPFA Parliamentarian Wimal Weerawansa, who was arrested over a discrepancy in his passport, has been released on bail by the Negombo Magistrate’s Court. The Colombo District MP was arrested earlier today and produced before the Negombo Magistrate Court after a statement was recorded from him regarding the use of an invalid passport to fly abroad. Weerawansa says he was preparing to travel to Europe for a series of lectures following invitations from Dubai and Italy when he was stopped by CIF officers at the BIA this morning. According to the MP, upon arriving at the airport he realized that the passport in his possession was one that he had lost and later found after obtaining a new passport. The MP said that he was asked by airport authorities to return with the new passport which had contained the proper visa stamp. Weerawansa said that when he returned to the airport with his new passport at around 8.30am today, several CID officers proceeded to question him. However, airport sources say that using an invalid passport to fly abroad is a crime and that an inquiry will be carried out to determine whether the MP had committed a mistake.